Robert C. MacLeish, Sr. - Lighthouse Construction, Inc.
Bob is the President of Lighthouse Construction. Mr. MacLeish founded the firm in 1996 and has had steady growth as a local leader since that time. While performing his role as President, he maintains a hands-on approach throughout the firms projects while in constant contact with all parties involved from inception to completion. Prior to forming Lighthouse Construction, Bob managed many large industrial, commercial and public works projects throughout the State of Delaware. 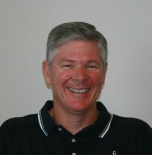 Bob brings over 26 years of Project Management, Cost Estimating and Scheduling Experience to the team. His work ethic and practical approach to projects has earned him respect from many of the architects and engineers in our area. Bob has fostered an unmatched relationship with many of the best contractors in the State of Delaware. He provides our clients with assurance that they will have accurate competitive bids and will receive the highest quality and craftsmanship available. In his earlier career Bob worked extensively with architects and engineers on projects in Manteo, North Carolina on the Marina. The Construction Management projects listed below are representative of our diverse scopes of work.